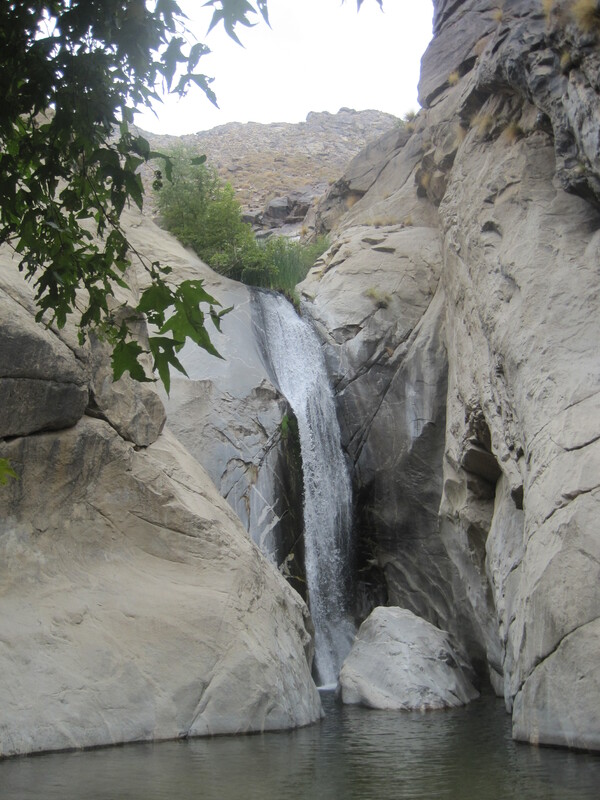 One of the things I love about vacationing in Palm Springs is the many, many hidden gems you can find when you explore the area. 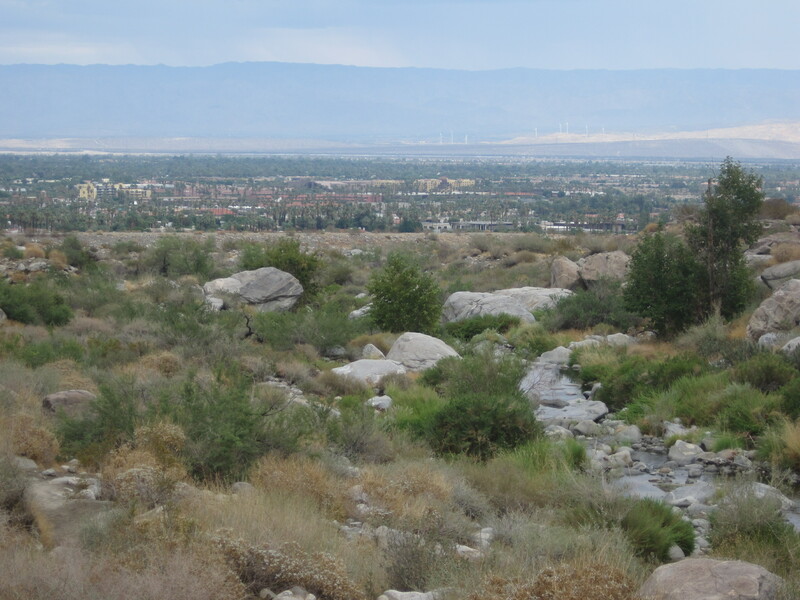 For example, when most people go out to Palm Springs with the intention of hiking, they are headed out to Joshua Tree, or some other desert trail. 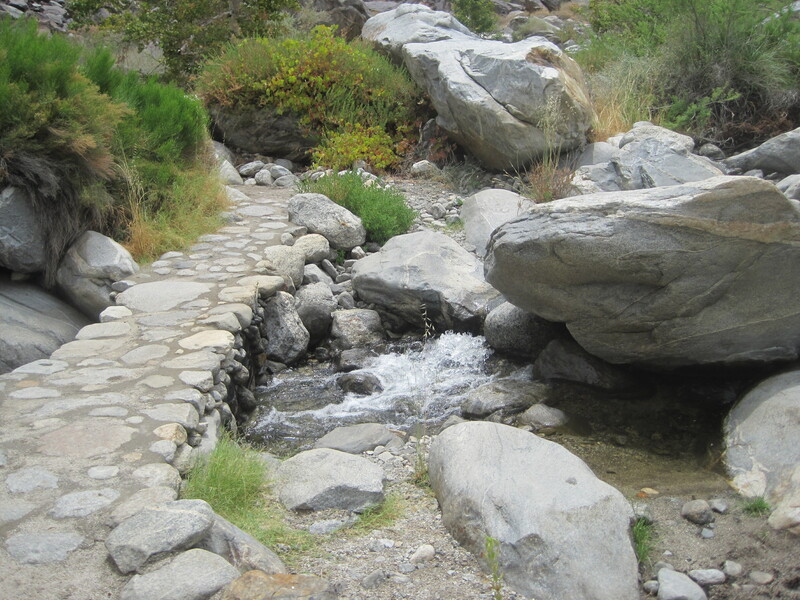 But you might want to consider checking out a neat canyon we discovered this last summer called Tahquitz Canyon. 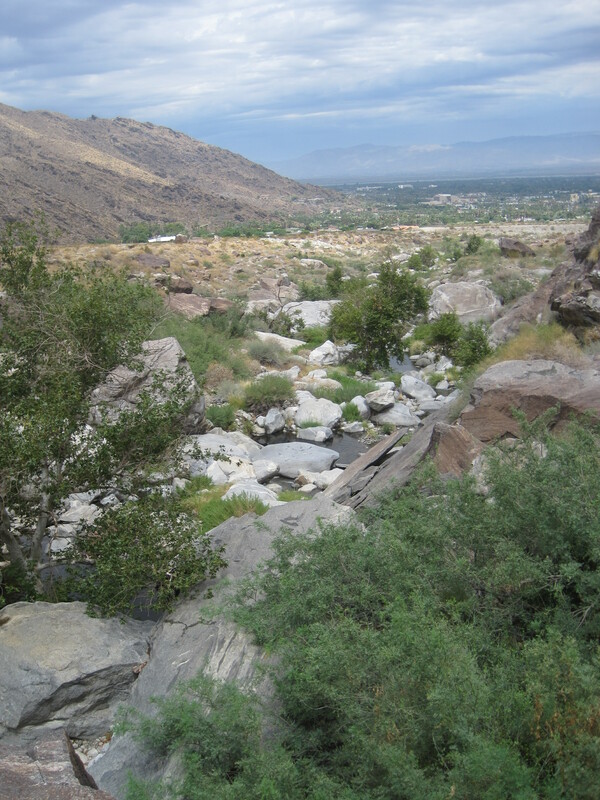 Tahquitz Canyon is very visitor friendly and located just a little over a mile from the bustling down town area. We parked in the small parking lot, got our hiking passes at the cute little visitor center, and even borrowed a couple of the walking sticks they have available near the exit. This turned out to be a good call, because we ended up taking the left trail up the canyon to the waterfall that was promised to be at the end of our hike. As we would discover later, this was the longer and steeper hike, sporting more than a few natural staircases and lots of ants. Lots of ants. 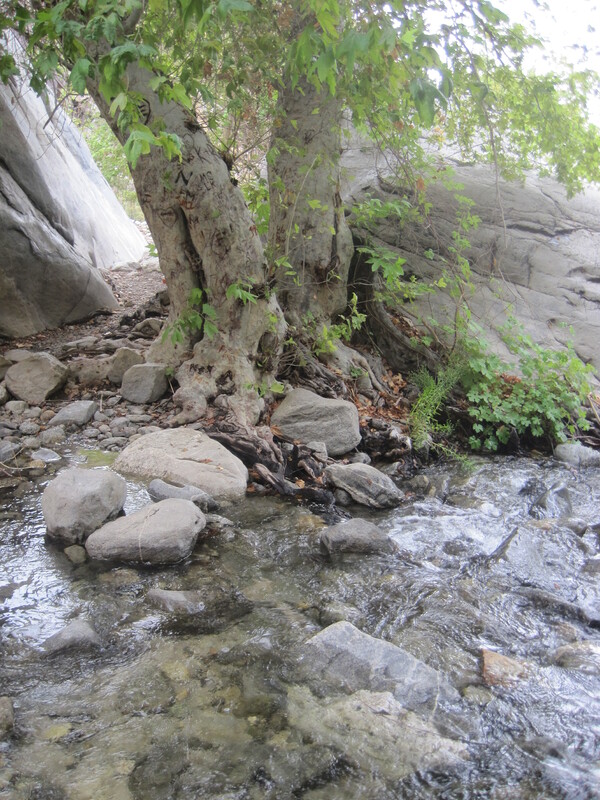 But that was okay, because there were some really interesting historical locations to check out, and it made us all the more grateful when we began to hear an unmistakable gurgling water sound. 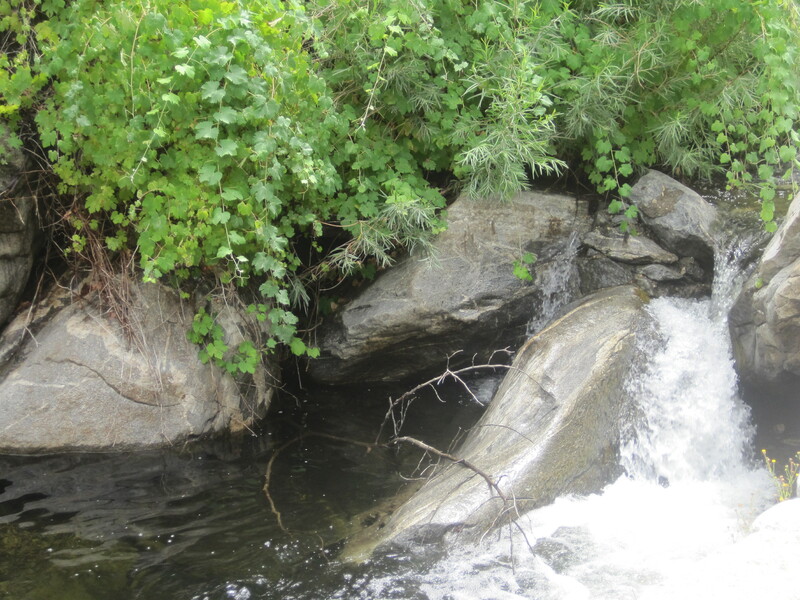 The area around the waterfall is beautiful. We spent a good amount of time splashing around the cool lagoon, watching the waterfall, and just enjoying the refreshing oasis. 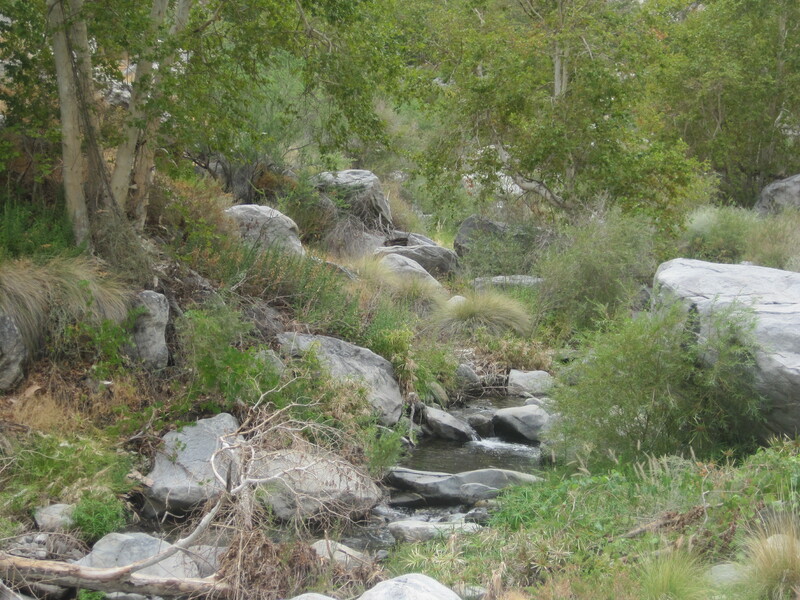 The hike back was much easier and little more scenic. Not only was it all downhill, but there were less steps, not that many ants, and way more flora to gush over. And we could pick out our downtown hotel from our terrific view of the valley, which was pretty awesome in and of itself. Then it was back to nice big lunch after our amazing two mile hike. 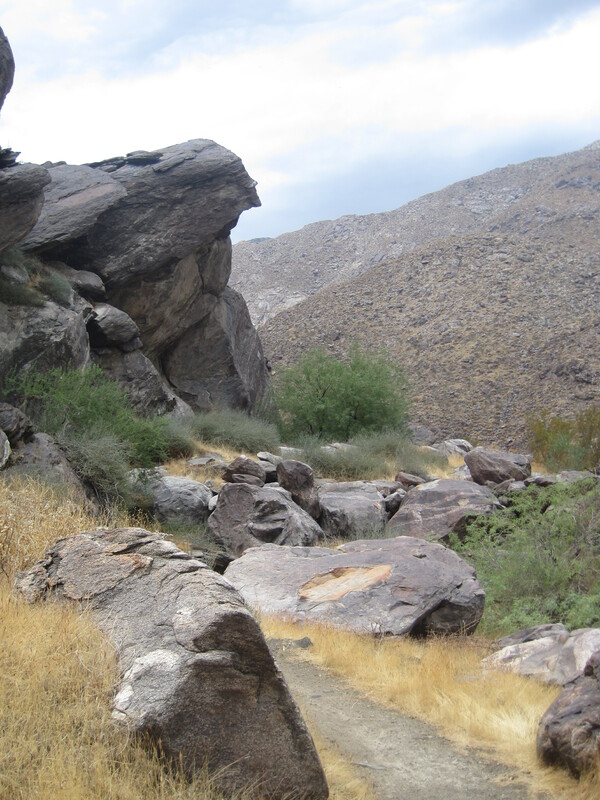 If you like hiking, or just think oasis’ are awesome, this would be a great side jaunt to add to your trip to Palm Springs.